There are several women in my monastic community that consistently make me feel as though “I’m at home” when I am with them. What I notice is that they are relaxed about being where they are at the present moment. While they are listening, they would not think of scanning others who are walking by or interrupting an ordinary story telling time. They seem poised to allow tears of joy or sorrow to well up in their eyes as they listen or do not hesitant to burst out laughing if the conversation invites it. Because of their natural attentive presence, they themselves are superb storytellers. Their stories usually include persons, situations or questions that invite those around them to want to be just as candid and wise as they are. I am sure there are days that it has not been easy for these wisdom-women to be fully present to what they are hearing. But I get the feeling that they have developed their skill over the years by daily sitting still enough to invite what is around them and within them to teach them surprising things. 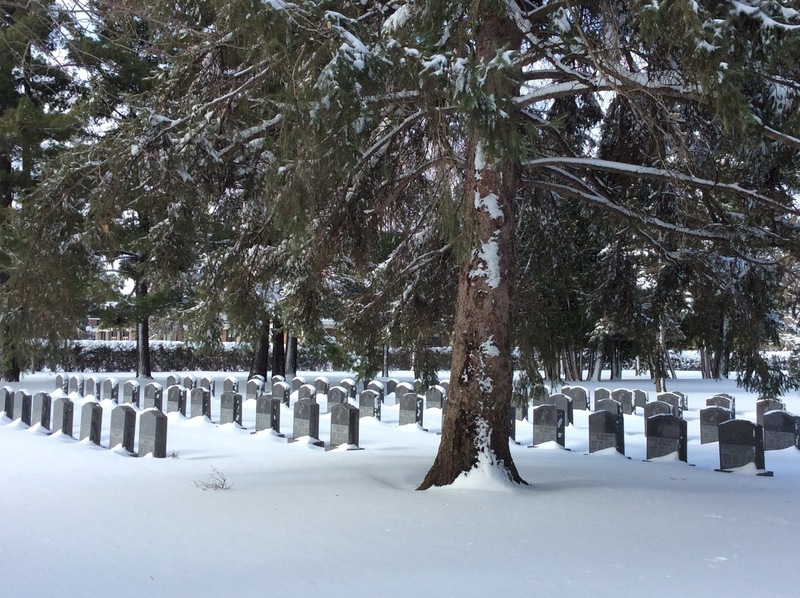 Fortunately, the monastic cemetery of over 1000 sisters is available right on our monastery/college campus. In addition, right next to our cemetery is the cemetery for the local St. Joseph parish church where equal numbers of holy ones are resting. Recently I have been walking among the markers of sisters I have known over the past 60 years. So many remind me of things they have taught me during their lifetime. There are community leaders that walked through amazing times of change and had to go forward with incredible faith to withstand waves of opposition to their decisions. In the end, their faith-walk has helped each person in the community evolve. There are sisters that spent their entire energy in support of social justice or faithfully supporting the sisters they lived with by having warm bread and kind words ready for whoever entered their kitchen. 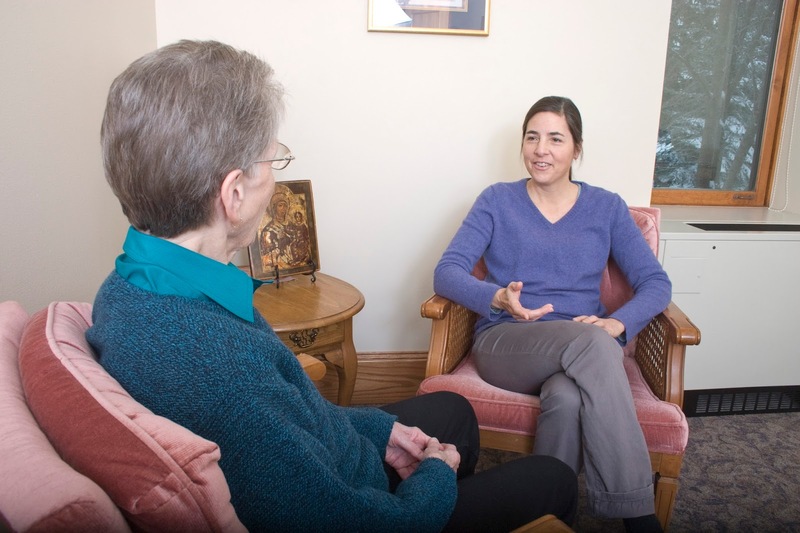 Each sister or parish member carries their uniquely hidden ways of saying “yes” to their call to connect their God-gifts and the tender transformation of the persons around them. Most of these humble and authentic persons would be shocked at how many people they have taught important life lessons. As Baba Dioum says, “In the end we will conserve only what we love. We will love only what we understand. We will understand only what we are taught”. These expressions of the continually transforming love of God seem to create a single heartbeat of the divine in all that is. Putting our sandals away as summer and fall are leaving us, we take out our winter shoes and snow boots to prepare for winter. Allegorically, in the scriptures, “shoes” also refers to “our path,” “our journey” in life. Some years back, while visiting a Trappestine Monastery, I participated in their daily walking meditation outside, all with bare feet. Shortly, after coming home, I dreamt that I lost my shoes and after looking all over, I did not find them. The experience I had with the Trappestines had something to tell me about my journey. What could it be? What does “having lost my shoes” tell me now? Is it trying to tell me something about my walk in life, my vocation here and now? As I was focusing on the dirt below my bare feet, I came closer to the meaning. Am I too focused on my ministry and not enough on nature and the earth below my bare feet? Am I taking enough time enjoying the outdoors to be nourished by it? How can I help to take better care of the earth? Is God telling me to trust the soul of my heart and the gut more? While on Mount Sinai, God told Moses to take off his shoes for the soil he was standing on was Holy Ground. It was a rainy and cool Sunday morning as a friend and I checked in for the Tour of Saints bike ride. We had agreed to ride the eighteen-mile route, which took us along the Lake Wobagon Trail. We rode up to Avon and back again to Saint Joseph. We met many bikers along the way who were also spending their Sunday morning riding their bikes in the rain. The rain did not appear to dampen the spirit of any of the bikers. We greeted people along the way by offering and receiving words of support. I learned as I was riding my bike that when I set my mind to do something, I really want to accomplish it. Riding my bike in the rain was not my first choice that Sunday morning. Under the rainy circumstances, I learned a lesson of endurance that a sunny day would not have provided. I learned that a little encouragement goes a long way. Still I would have preferred a bright sunny day for the experience. I hope that next year the sun will shine for the Tour of Saints bike ride and we are already talking about riding the thirty-five mile loop. 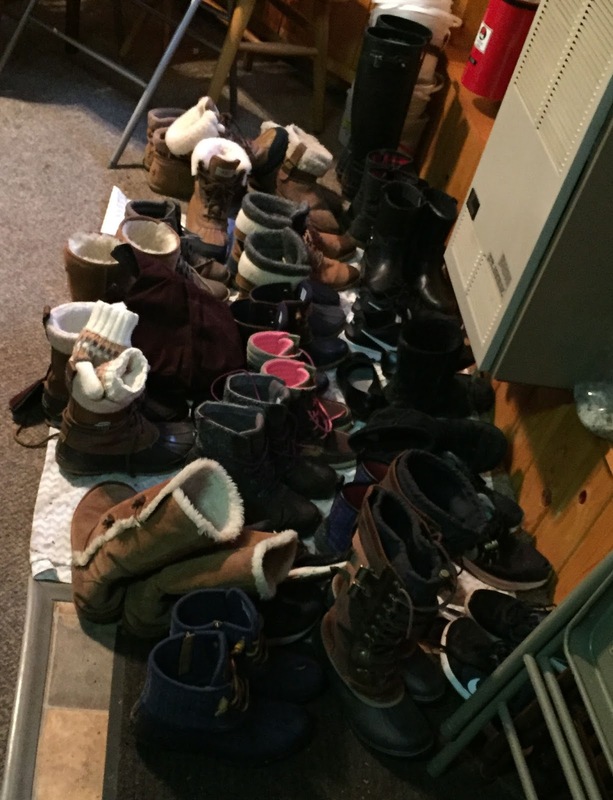 Rain or shine, the sisters at Saint Benedict’s Monastery encourage one another day after day to live a balanced life of prayer, work and community. If you would like more information about Saint Benedict’s Monastery please contact Sister Lisa Rose at lrose@csbsju.edu. they already knew there was no food. and tell my heart of Your gentle presence. You like the Lodge community too, don’t You?